From budget travelers to honeymooners, all kinds of travelers visit Fiji. Fiji offers five-star resorts that offer world class facilities or even secluded islands while the backpackers and budget travelers have a huge range of affordable island resorts and hostels to choose from. For the real adventurer Fiji even offers home stays to experience the real Fijian culture. Fiji offers loads of eco tours, kid-friendly getaways or hard-core diving locations. Whether you want to go for exclusive, luxurious and completely private, or a fun hostel where you can relax in the hammock and party at night, Fiji has accommodation for you. Just choose from the different Fijian hotspots we have selected for you and select your type of budget to see the best accommodation that Fiji has to offer. The Yasawa Islands are well known under tourists for their great luxury resorts and beach view villas as well as budget accommodation within resorts and hostels. The Yasawa Islands Fiji are definitely a must see because of their rather remote location, exquisite diving and well preserved cultural influences. Check out the different Yasawa Island Fiji resorts and Yasawa Island Fiji budget options below. The Mamanuca Islands in Fiji do not only offer a great surf but the accommodation offered on the Mamanuca Islands is definitely worth a visit too.The accommodation types on the Mamanuca Islands range from budget resorts and hostels to luxury resorts that offer private villas or sometimes even private islands. Next to surfing, diving is offered in the Mamanuca Islands. Check out the different Mamanuca Island Fiji resorts and budget accommodation options below. Nadi is the main international destination for travelers which ensures a wide range of accommodation such as hotels, resorts, villas and budget hostels. With Denarau located so close to Nadi, the range of accommodation gets only bigger. Denarau Island is seen as a more luxurious spot with resorts and five-star hotels whereas Nadi is a great option for both luxury resorts as well as budget accommodation. Check out the different Nadi Fiji resorts and budget accommodations below. Denarau Island is known for its luxurious resorts and there is plenty to choose from. Staying in any type of accommodation on Denarau Island is like stepping outside of the everyday hustel of Fiji and into the world of luxury. With 8 luxury resorts located all over Denarau island there will always be a luxury resort in Denarau that will suit you. Check out the luxury resort and mid-range hotel options below. If you are looking for a less touristic place, the Sun Coast Fiji is perfect for you. With several luxury resorts, mid-range accommodation and some budget options, the Sun Coast is great for exploring and diving in a less touristy setting. 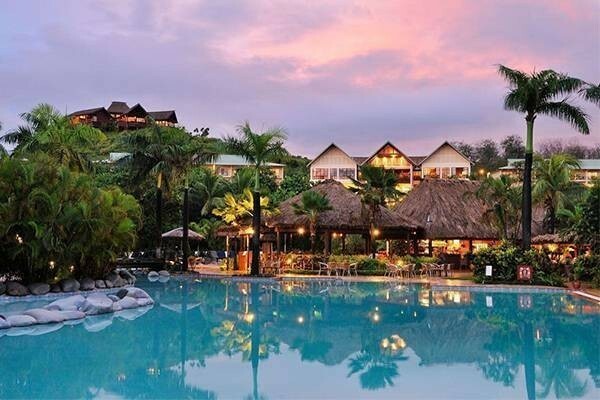 The Sun Coast Fiji offers great Fiji hotels, Fiji resorts and Fiji hostels. Check out the different types of luxury accommodation in Sun Coast Fiji or have a look at the budget options below. Suva, the capital of Fiji is just waiting to be explored with its trendy shopping malls, farmers market, restuarants, lush parks, museums, vibrant nightlife and wide variety of accommodation options. 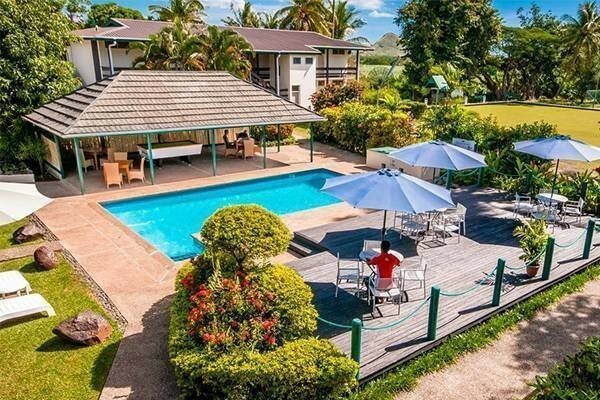 You can choose from luxury to mid-range resorts and hotels or budget hostels to B&B's, whatever your searching for your sure to find something to suit your taste and budget here in Suva, Fiji. The coastline of the Coral Coast includes small Fiji resorts, luxury hotels, budget accommodation and several mid-range retreats. With the Pacific Harbour just around the corner getting the right hotel resorts in Fiji in the Coral Coast will definitely not be a problem. 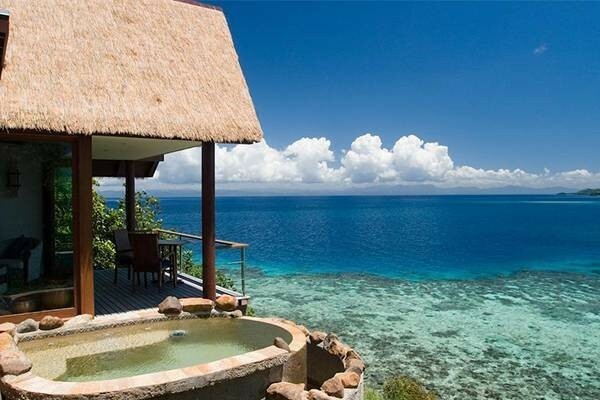 Check out the different luxury resorts and budget accommodation Fiji, Coral Coast below. Within Pacific Harbour and Beqa you will mostly find luxury accommodation such as resorts, hotels and villa’s. Within Pacific Harbour you will find some budget accommodation but on Beqa most of the accommodation is luxury or mid-range. Some of the resorts only accommodate a few guests at the time to ensure it stays an exclusive destination. Check out the different types of accommodation Beqa and Pacific Harbour have to offer below. 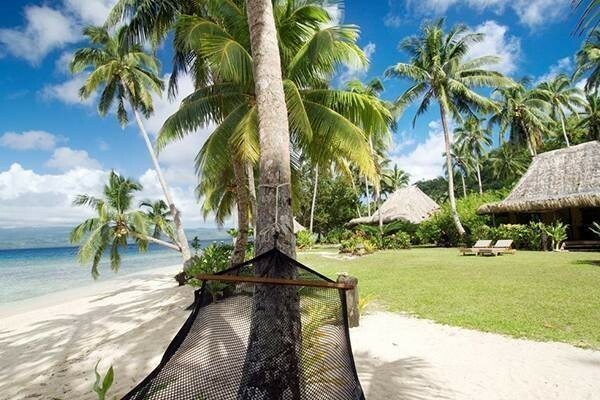 Travelers in Vanue Levu can find all types of accommodation in Fiji. Many resorts in Vanue Levu offer beautiful beaches and access to the best dive spots. There are many budget places and home stays in Savusavu which are worth to check out. Check out the luxury, mid-range and budget options below. 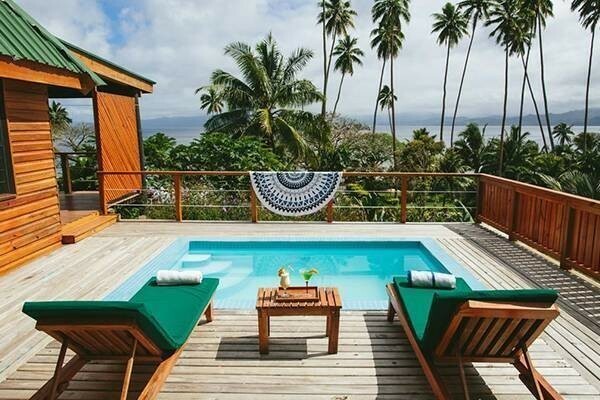 Taveuni Island can offer visitors several luxurious and mid-range resorts in Fiji, however backpackers have limited options on Taveuni Island, Fiji. There are several places available for the budget traveler on the island like cottages or holiday homes. Most of the accommodation is located on the beachfront and offer a wide range of activities. Check out the different types of accommodation Taveuni Island. There are only a few resorts and homestays throughout the Lomaiviti Group as these islands are less touristy than the other Fijian islands. Visitors can find some resorts while most of the accommodation can be classified as mid-range or budget. Check out the different options below. Kadavu island has limited accommodation options for travelers. There are only several resorts, guest houses or budget places for backpackers. It has to be noted that most of them are accessible only by boat. Before travelling to Kadavu, check out the different options below. Lau group offers limited accommodation options for travelers. There are two budget places located on Vanua Balavu and Lakeba in Fiji, while one luxurious resort is situated in the northern part on Vatuvara island in Fiji. Check out the different options below. All our recommended hotels and resorts come with a “Best Price Guarantee” offered in partnership with Agoda.com and Booking.com - the world’s fastest-growing online hotel platforms - to ensure we bring you the very best rates. Whether you're planning a honeymoon, a family vacation or a backpacker excursion, you can be sure you'll be getting the best available online rates. For more information about any of our selected hotels, or to check live room availability and prices, just click on the destination and budget range of your choice. You can make an online booking, with immediate confirmation, via our partners secure system.